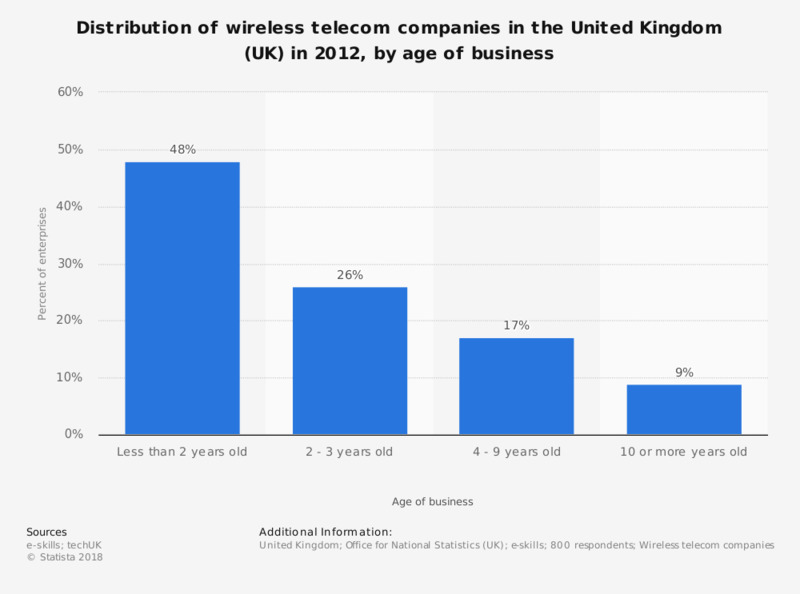 This statistic shows the distribution of wireless telecom companies in the United Kingdom by the age of the company. The data was taken for the year 2012 and the age categories range from the youngest being 'less than two years' to the oldest being '10 or more years.' In 2012, in the United Kingdom, 48 percent of wireless telecom companies were less than 2 years old, and only 9 percent of companies were 10 years or older.